There are several circumstances in which auditory rehabilitation by wearing Individual Sound Amplification Device (ISAD) is straitened or presents problems when wearing it. It is not possible to employ an ISAD in cases of agenesis or external auditory canal stenosis because of the impossibility of the stimulation by the airway (1). The mastoidectomy approach with opening cavity, chronic otitis media and chronic otitis externa make ISAD adaptation difficult by being uncomfortable and causing problems as otorrhea. 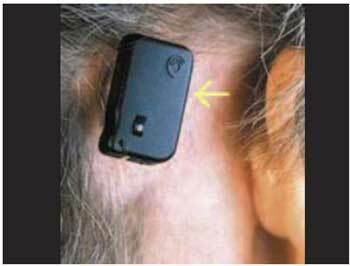 In these cases, the conventional bone conduction hearing aid would be the best option. However, such aids also present problems that would lead patients not to wear them. These problems consist of skin irritation by the constant pressure caused by its use; the aesthetics that is extremely weird and the difficulty of maintaining the device in children because it is easily removable (2). In order to solve these questions, BAHA (Bone Anchored Hearing Aid - an implantable bone conduction hearing aid) is a beneficial alternative over the conventional bone conduction devices. BAHA has been studied over twenty years and been used in Europe and in the States, accounting for more than 20,000 implants worldwide (3). BAHA is an implantable hearing aid in the temporal bone which was developed by Tjellstrom in 1977 by using the Branemark system. Biocompatibility and osteointegration, that allow the attachment of synthetic material on the temporal bone, were the basic principles that helped the development of this device. The most suitable material was titanium, which was used in the development of all the implantable devices that came afterwards (4,5). Although BAHA presents excellent results in cases of conductive hearing loss, it presents limitations in cases of associated sensorineural hearing loss (6). This device consists of a tiny titanium piece, which is put on the cortex of mastoid bone, and an external abutment. This external abutment is adjusted in the titanium piece and it is easily removable. The external abutment consists of a sound processor that receives the environmental sound energy transforming it in mechanical energy (vibration) and stimulates the cortex of the bone. The use of BAHA as well as the conventional bone stimulation devices and the conductive mechanisms of the airway are not used. Thus, the direct stimulation of the cochlea (with advantages over conventional ISAD) in cases of severe conductive hearing loss occurs through the vibration of the skull. The objective of this study is to present BAHA as an alternative treatment for deafness, especially in cases of bilateral external auditory canal stenosis; to describe the surgical technique and to review these indications, complications and audiological results. The research consisted of accessing the database of MEDLINE, LILACS, COCHRANE and OVID by using the following key words: prosthesis and implants, hearing aids, pathologic constriction, ear canal and deafness, both in Portuguese or English languages. In order to describe the surgical approach and the literature review, the study was based on the two cases that were submitted to implantation made by the authors at Hospital da Clínicas da Universidade de São Paulo in 2003. The two patients were the first to undergo an implantation in Brazil. They signed a consent term that informed the benefits and risks of the surgery and also authorized the use of the images in this study. The surgical approach is similar to Branemark system, which is used in dental implants. This surgery can be performed either in one or two stages. Nowadays, it is usually performed in one time due to medical-hospital costs and shorter period between surgery and the start of the device use. The following technique was used in two patients operated by our group. The first patient was 2 years olds, who underwent a one-time technique with general anesthesia. The second one was an adult who underwent two-time surgery with local anesthesia. The titanium piece and the external abutment are placed in the same surgery, and after three months, when osteointegration of the implant occurs, the device can be connected and turned on. In grown-up patients, surgery can be performed by using local anesthesia with or without taking sedative, depending on patient's behavior. Anesthesia should contain lidocaine and adrenaline and should infiltrate the periosteum. The implant should be placed between 50 and 55mm from the EAM (external acoustic meatus). The processor, when connected, should not be in contact with the ear. The edge of the mastoid portion is not a suitable place for the implant as well (Picture 1). Picture 1. Skin marking. The dark dot (yellow arrow) refers to the position of the external acoustic meatus; the blue semicircle refers to the flaps and the green dot (blue arrow) to the implantation area. 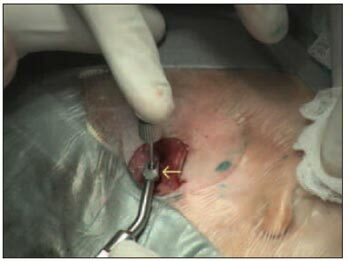 After marking the implant area, a 24x30-mm rectangular incision or a semicircular one should be performed in order to make a skin flap attached on its inferior portion. The incision lengthens up to the periosteum area, which should be preserved. The periosteum is cut separately by performing a 4mm diameter opening and exposing itself to the cortex of the bone. The flap should be thinned in a way that the subcutaneous tissues and all hairy follicles are removed; the purpose is to avoid the flap moves and forms hair. In this way, it is presented an area with thin skin with no hair, where the processor will lay. Another alternative would be a thin skin graft removed from a no hair area like the retro-auricular skin. The subcutaneous tissue of the skin surrounding the incision should also be removed, so the edges of the incision can be inverted and attached to the periosteum with no tension. Perforation depth should measure 4mm, performed with a 4mm drill. Then, a countersink drill prepares the surface of the bone and the opening where the titanium piece will be fastened(Picture 2 e 3). Irrigation during this process is important in order to avoid heating and bone death. Picture 2. Countersink drill pen (yellow arrow). Picture 3. Countersink opening ready to receive the implant. Notice the thin skin (blue arrow). The titanium piece is inserted with a proper assembler (Picture 4). Afterwards a cover screw is placed, which will remain up to the skin perforation and the abutment attachment. Picture 4. Attachment of the titanium piece with a proper assembler (yellow arrow). The flap is then replaced and attached to the periosteum. An opening is made by using a 4mm punch in the place where the piece of titanium is implanted (Picture 5). Picture 5. 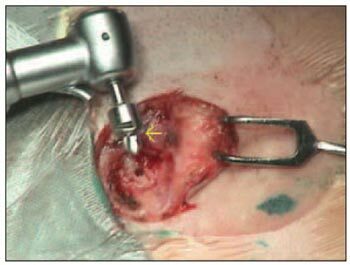 Piece of titanium implanted in the skull (yellow arrow). 7) Attachment of the abutment and bandage. An abutment is attached to the implanted piece of titanium (Picture 6). Picture 6. 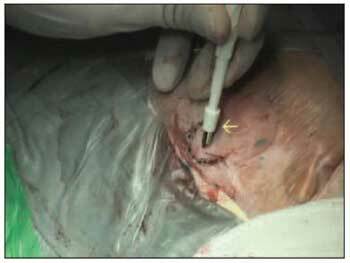 Skin perforation by using a 4mm punch (yellow arrow). A plastic washer-type curative is attached to the piece of titanium and a piece of gauze soaked with antibiotics is placed under the protective washer in order to fix the graft in the right position and to avoid bruising. (Picture 7). Picture 7. Abutment (yellow arrow) connected to the implant. The mastoid curative is removed within 24 hours. The protective curative and the gauze are exchanged in seven days and then remain for more seven ones by being slightly pressed over the flap. After removing the curative, the patient should keep the area clean by washing with soap and water once a day. The processor can be placed three months after surgery, which is a suitable period for the osteointegration to occur. The titanium piece and the abutment are placed in two surgery phases. The second phase of surgery is performed 3 months after the first one. The making of the flap and the attachment of the titanium occur in the same way as in the one-stage surgery. The curative is not attached to the connector, but to the skin instead, and is pressed over the graft. A Teflon coat is placed over the implant which will be removed in the second phase of the surgery. Three months after the first surgery, an opening should be made in the place of the implant by using a 4mm punch, exposing it. After that, the implant is attached. After 3 weeks the processor can be connected to the abutment (Picture 9). Picture 8. Final aspect of the surgery. The plastic washer (yellow arrow) is connected to the titanium and gauze with furacin is rolled between the washer and the skin. Picture 9. 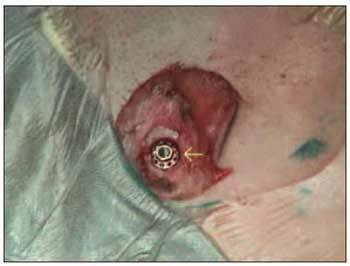 BAHA (yellow arrow) connected to the implant. BAHA is recommended to those patients who suffer from sensorineural or mixed conductive hearing loss and are not able to wear ISAD. As auditory stimulation is performed through airway, there is no hearing loss range to its use. It is important to appraise the sensorineural threshold during auditory evaluation with audiometric tests due to the restrinction of the devices over sensorineual losses. Regarding the cases of mixed or sensorineural hearing losses, it is important to observe that BAHA Divino presents only a 5-10dB profit in the sensorineural threshold. It is recommended for patients with PTA (Pure Tone Average) of sensorineural curve below 40dB. Yet, BAHA Cordelle II presents a 20-25dB profit and it is recommended for patients with more severe sensorineural loss up to 60dB (6). CT must be performed to evaluate skull thickness, level of the middle fossa and sigmoid sinus and the position of the facial nerve in order to avoid complication, especially in children. Some authors have been suggesting two-time surgery for children, due to the fact that their bone is thinner and more fragile and the risk of displacement of the implant is higher. It has also been suggested the placement of a second implant, as a spare one, at a 15mm distance from the first one, in case of losing it, once children are more exposed to traumatic lesion of the implant. The implant depth in children should be of 3mm, and the period between surgeries should be 6 months. External Auditory Canal Stenosis: it is a condition that requires proper auditory rehabilitation therapy because it can lead to severe hearing loss by damaging normal development of the individual. In many cases, surgical therapy for EAC stenosis is rather difficult. The major complications described in the literature are restenosis, lateralization of the tympanic membrane, lesion on the facial nerve and on the temporomandibular articulation (7). Restenosis recurrences account for 20% to 50% in some studies (8). As in several cases alteration of the associated middle ear occurs, the audiological result can be negative. De la Cruz found an air-bone gap which was smaller than 30db after surgery in only 60% of the cases which underwent surgery (7). We consider that the use of BAHA would be a better alternative for the cases of congenital malformation, due to positive results and low surgery risk. Middle Ear Malformation: in cases of severe malformation of the middle ear with a poor surgical prognosis. The use of BAHA would be preferred to surgery of bone chain, due to the poor functional prognosis, in these cases. In cases of chronic otitis media and open mastoid cavity, the use of ISAD mould, which closed the external acoustic canal, can cause or worsen the infection condition, what might lead to persistent otorrhea (9). In cases of mastoidectomy with open cavity, the proper closing and adaptation of the ISAD are some times difficult due to the size of the cavity. Besides, in cases of cavity with persistent otorrhea (wide cavities), the use of the mould is not possible either (10). BAHA is more bearable for not using moulds on EAC in cases of chronic otitis externa associated or not with the use of the ISAD mould (11). The best size that presents the best sensorineural threshold is the best one to be chosen. When in doubt, it is possible to support the BAHA through a piece that used for testing against the mastoid in order to obtain a preoperative evaluation of the expected result. DUTT et al., in 2002, studied the level of satisfaction of patients through a questionnaire on quality of life. These authors compared the level of satisfaction between the unilateral and bilateral BAHA wearers. The bilateral device use showed better results (12). Several studies in the international literature show that there is no difference on audiometric results of the BAHA and ISAD (4). BANCE et al., in 2002, compared the same results in patients with chronic otitis media and did not find any differences between the two aids (13). MYLANUS et al., in 1998, compared the audiometric results between the BAHA and ISAD and concluded that the larger the air-bone gap the higher is the advantaged of the former over the later (14). The improvement of the air-bone gap in less than 10db occurs in 80% of the cases with the use of the BAHA (15). Comparison between audiological results of the BAHA and conventional bone conduction hearing aid. SNIK et al., in 1995, compared the audiological results and the level of wearers' satisfaction when wearing the BAHA or conventional bone conduction hearing aid. These authors concluded that the BAHA wearers present better word distinction and are more satisfied in comparison to the conventional aid wearers (16). These findings were also similar to other authors', who found better PTA (pure tone average) and SRT (Speech reception threshold) in patients who made use of the BAHA (17,18,19). The BAHA implant surgery is a safe procedure with few complications. The major intra-operative problems are the exposure of the dura mater; the exposure of the sigmoid sinus and the opening of the mastoid cells. They can occur in 30% of cases in children. However, the placement of the implant in contact with the dura mater or cells of the mastoid is not a real problem and does not interfere on the final results. Other complications would be liquoric fistula and hemorrhages that can be solved during surgery with no further problems. The main postoperative complication of the BAHA is related to the skin flap that can either die or present late reactions such as hyperemia, granulations and irritations. However, this type of complication rarely endangers the procedure, by being carefully treated. The second and more frequent complication is the loss of the implant, which can be due to a failure on the osteointegration, traumas and more rarely an infection in the surgery site. 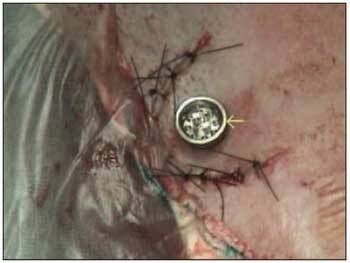 SCHOLZ et al., in 2003, described the first and single case of brain abscess related to the BAHA implant procedure (20). This was an extreme rare case which was easily solved with perforation of the abscess and antibiotic therapy with no sequela. KOMPIS ET AL., in 2000 and 2002, reported an occurrence of noise arouse from the electromagnetic interference of the digital cell phones (21,22). However, there are no traces that this activity is harmful to BAHA wearers. ZEITOUN et al., in 2002, studied the BAHA complications in children and concluded that the main surgery difficulty is the thin denseness of the bone graft, what might result an incomplete implantation of the piece of the titanium (23). The rate of implant loss is higher in children - 7.5% to 15% - depending on the study, and the main cause is traumatic injuries (24). Psychological disorders might cause a rejection by children regarding the device and achieving up to 13% of the cases (23). The implant of the titanium and the connector abutment may not need to be removed during nuclear MRI tests, but the processor should be removed. The surgical procedure of the BAHA implantation is safe and easily performed, presenting a low rate of complications. The BAHA is recommended for cases in which conventional devices either can not be worn or present certain inconveniences due to its use, especially in cases of bilateral EAC stenosis, whose surgical therapy is difficult presenting a high rate of complications and a negative functional result. The BAHA should be considered as an alternative therapy for auditory imperfection. It presents positive audiological results and a high level of satisfaction by patients. 1. Wazen JJ, Caruso M, Tjellstrom A. Long-term results with the titanium bone-anchored hearing aid: the U.S. experience. Am J Otol. 1998 Nov; 19(6):737-41. 2. Hakansson B, Tjellstrom A, Rosenhall U. Hearing thresholds with direct bone conduction versus conventional bone conduction. Scand Audiol. 1984;13(1):3-13. 3. Priwin C, Stenfelt S, Granstrom G, Tjellstrom A, Hakansson B. Bilateral bone-anchored hearing aids (BAHAs): an audiometric evaluation. Laryngoscope. 2004 Jan; 114(1):77-84. 4. Hakansson B, Liden G, Tjellstrom A, Ringdahl A, Jacobsson M, Carlsson P, Erlandson BE. Ten years of experience with the Swedish bone-anchored hearing system. Ann Otol Rhinol Laryngol Suppl. 1990 Oct;151:1-16. 5. Wazen JJ, Spitzer J, Ghossaini SN, Kacker A, Zschommler A. Results of the bone-anchored hearing aid in unilateral hearing loss. Laryngoscope. 2001 Jun; 111(6):955-8. 6. Van Der Pouw CTM, Mylanus EAM, Cremers CWRJ. 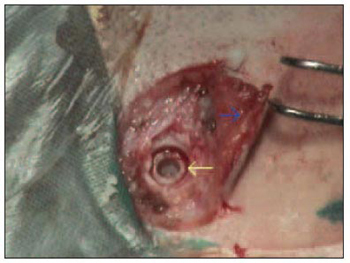 Percutaneus implant in the temporal bone for securing a bone conductor. Surgical methods and results. Ann Otol Rhinol Laryngol. 1999; 108:532-537. 7. De la Cruz A, Teufert KB. Congenital aural atresia surgery: long-term results. Otolaryngol Head Neck Surg. 2003 Jul; 129(1):121-7. 8. 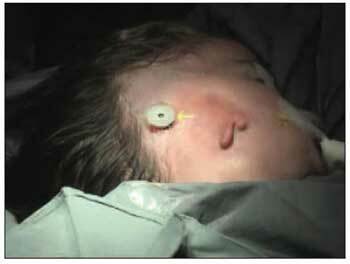 Chandrasekhar SS, De la Cruz A, Garrido E. Surgery of congenital aural atresia. Am J Otol. 1995 Nov; 16(6):713-7. 9. Snik AF, Mylanus EA, Cremers CW. The bone-anchored hearing aid: a solution for previously unresolved otologic problems. Otolaryngol Clin North Am. 2001 Apr; 34(2):365-72. Review. 10. Mcnamara M, Phillips D, Proops DW. The bone anchored hearing aid (BAHA) in chronic suppurative otitis media(CSOM).J Laryngol Otol Suppl. 1996;21:38-40. 11. Snik AF, Mylanus EA, Cremers CW. Bone-anchored hearing aids in patients with sensorineural hearing loss and persistent otitis externa. Clin Otolaryngol. 1995 Feb; 20(1):31-5. 12. Dutt SN, McDermott AL, Jelbert A, Reid AP, Proops DW. The Glasgow benefit inventory in the evaluation of patient satisfaction with the bone-anchored hearing aid: quality of life issues. J Laryngol Otol Suppl. 2002 Jun; (28):7-14. 13. Bance M, Abel SM, Papsin BC, Wade P, Vendramini J. A comparison of the audiometric performance of bone anchored hearing aids and air conduction hearing aids. Otol Neurotol. 2002 Nov; 23(6):912-9. 14. Mylanus EAM, Van Der Pouw CTM, Snik AFM, Cremers CWRJ. An Intra-individual comparison of the BAHA and airconduction hearing aids. Arch Otolaryngol Head Neck Surg. 1998:124:271-276. 15. Lustig LR, Arts HA, Brackmann DE, Francis HF, Molony T, Megerian CA, Moore GF, Moore KM, Morrow T, Potsic W, Rubenstein JT, Srireddy S, Syms CA 3rd, Takahashi G, Vernick D, Wackym PA, Niparko JK. Hearing rehabilitation using the BAHA bone-anchored hearing aid: results in 40 patients. Otol Neurotol. 2001 May; 22(3):328-34. 16. Snik AF, Mylanus EA, Cremers CW. The bone-anchored hearing aid compared with conventional hearing aids. Audiologic results and the patients opinions. Otolaryngol Clin North Am. 1995 Feb; 28(1):73-83. 17. Snik FM, Bosman AJ, Mylanus EA. Candidacy for the Bone-Ancored Hearing Aid. Audiol Neurootol. 2004; 9:190-196. 18. Browning GG, Gatehouse S. Estimation of the benefit of bone-anchored hearing aids. Ann Otol Rhinol Laryngol. 1994 Nov; 103(11):872-8. 19. Cremers CW, Snik FM, Beynon AJ. Hearing with the bone-anchored hearing aid (BAHA, HC 200) compared to a conventional bone-conduction hearing aid. Clin Otolaryngol Allied Sci. 1992 Jun; 17(3):275-9. 20. Scholz M, Eufinger H, Anders A, Illerhaus B, Konig M, Schmieder K, Harders A. Intracerebral abscess after abutment change of a bone anchored hearing aid (BAHA). Otol Neurotol. 2003 Nov; 24(6):896-9. 21. Kompis M, Negri S, Hausler R. Electromagnetic interference of bone-anchored hearing aids by cellular phones. Acta Otolaryngol. 2000 Oct; 120(7):855-9. 22. Kompis M, Hausler R. Electromagnetic interference of bone-anchored hearing aids by cellular phones revisited. Acta Otolaryngol. 2002 Jul; 122(5):510-2. 23. Zeitoun H, De R, Thompson SD, Proops DW. Osseointegrated implants in the management of childhood ear abnormalities: with particular emphasis on complications. J Laryngol Otol. 2002 Feb; 116(2):87-91. 24. Granstrom G, Bergstrom K, Odersjo M, Tjellstrom A. Osseointegrated implants in children: experience from our first 100 patients. Otolaryngol Head Neck Surg. 2001 Jul; 125(1):85-92. 1. Professor of Otorhinolaryngology at the Medicine School of Universidade de São Paulo. Otorrhinolaryngology and Ophtalmology Department chief of the Hospital das Clinicas - FMUSP. 2. Otorhinolaryngologist. Assistant Doctor of the Otology Group of the Otorhinolaryngology Department of Hospital das Clínicas - FMUSP. 3. Professor. PhD Assistant Doctor of the Otorhinolaryngology Clinical Division of the Hospital das Clínicas - FMUSP. 4. Otorhinolaryngologist. Assistant Doctor of the Otorhinolaryngology Clinical Division of Hospital das Clinicas - FMUSP. This article was submitted to SGP (Publication Management System) of R@IO on September 24th, 2007 and approved on March 21st, 2008. Code # 323.